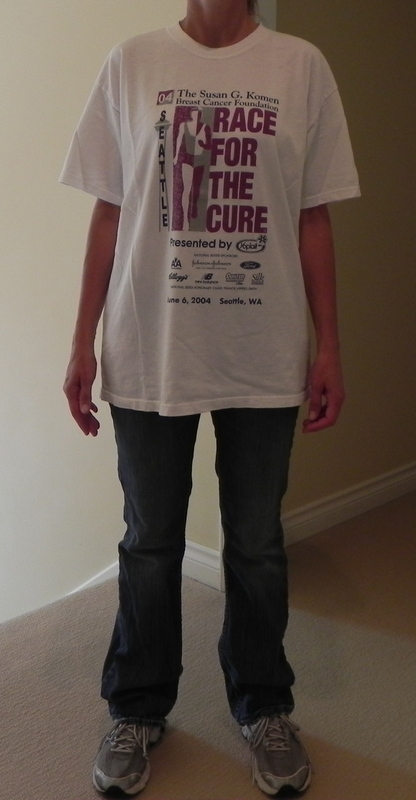 I recently read that Katie Holmes calls herself a jeans and t-shirt kind of gal. Somehow I don’t think this is what she means. Even my own children looked at me strangely when I put this on. I don’t usually dress this bad! However, I do see lots of moms dressed like this. Why? It looks awful. While I want to be as comfortable as possible, I also don’t want to look frumpy- hence the need for this experiment. 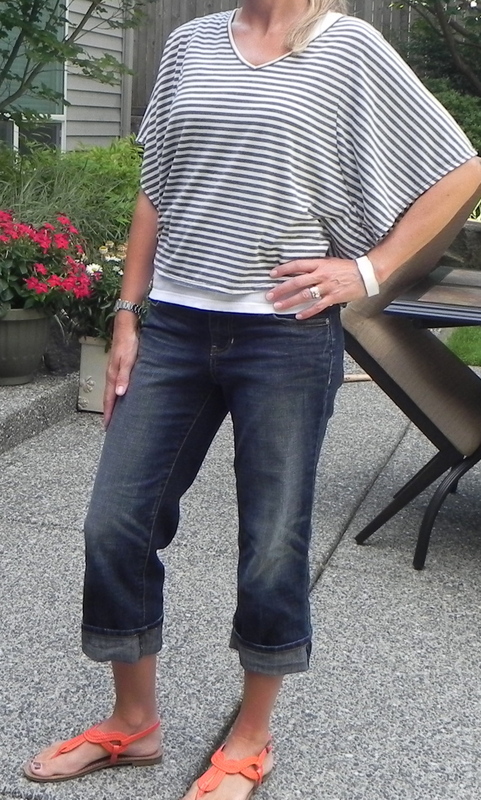 So, to improve this outfit I switched out the mom jeans for some cute cropped ones, changed my race t shirt for a cute dolman sleeved shirt with trendy stripes and got rid of the tennis shoes. I put on orange sandals for a burst of unexpected color. Please tell me this is better? I definitely felt a bit cuter in it- but yet still feel something is missing. Do I need a necklace? A jacket? A belt? What could I do differently?